For devices that have many ports (routers, switches, etc.) 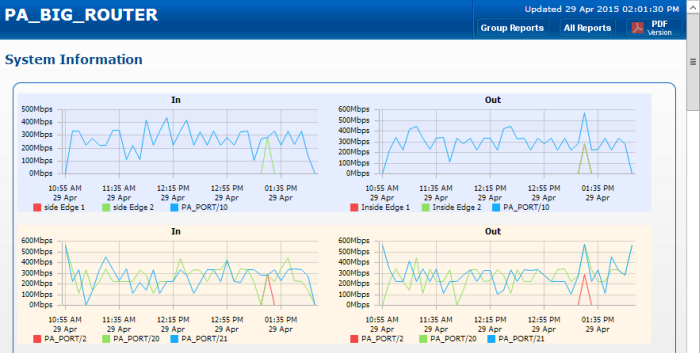 the Multi-Port Chart can display in and out bandwidth charts in an efficient way to get as many ports on the screen as possible. In the image above, In lines are on one chart, and Out lines are on a different chart. The background color of the charts visually tie the In and Out port lines together.